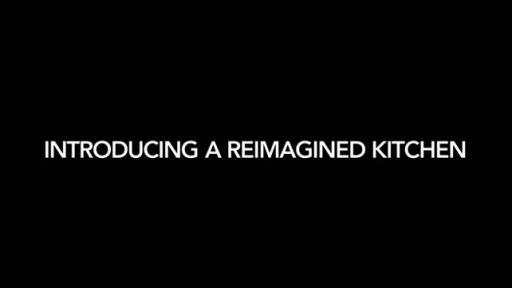 Experience the boldly designed, professionally inspired new line of major appliances from KitchenAid. The Clean Water Wash system shortens cycle time on heavy soils, uses less water & saves energy. The Even-Heat™ Torch Burner goes from simmer to boil, & can be dialed-up to 10,000 BTUs. The CookShield finish prevents discoloration on cooktops & protects from stains and spills. Perimeter Ventilation pulls air from the edges of the hood & speeds up air at the center. 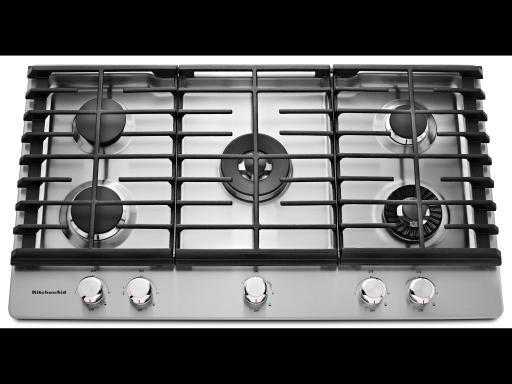 The CookShield finish prevents discoloration on gas cooktops and protects against stains and spills. The Clean Water Wash system shortens cycle time on heavy soils, uses less water and reduces energy consumption. Perimeter Ventilation pulls air from the edges of the hood and speeds up the movement of air at the center. The Even-HeatTM Torch Burner can go from gentle simmer to high boil, and can be dialed-up to 10,000 BTUs. 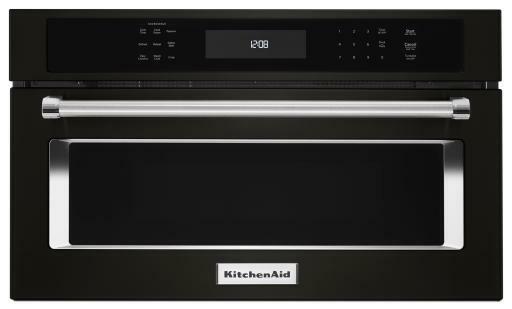 The new KitchenAid convection microwave oven can quickly and thoroughly defrost, melt or cook your favorite foods. 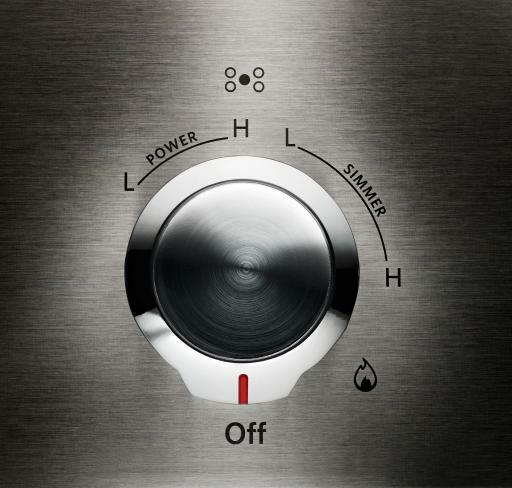 The EasyConvect™ Conversion System takes the guesswork out of convection cooking, ensuring exceptional results. 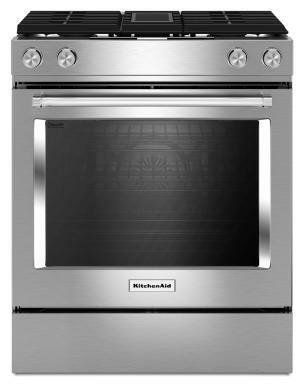 And its chrome inlaid frame, satin cross-hatched handles, stainless steel oven cooking cavity and touch controls are the perfect balance of elegance and functionality. 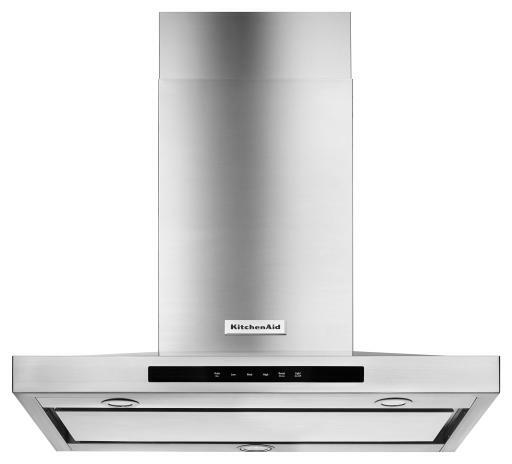 Capable of efficiently handling up to 65K BTU total output, these new hoods can even accommodate the ventilation requirements of many commercial-style cooktops. Available on select models, a wireless probe allows cooks to set a desired temperature for cooking meat, poultry and liquid-based casseroles, and alerts them when the selected temperature is reached. 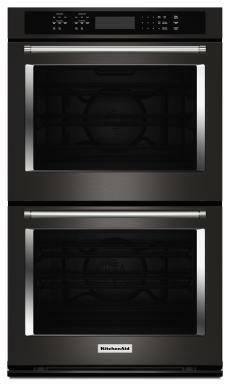 The dishwashers combine striking design elements with high-performance features. 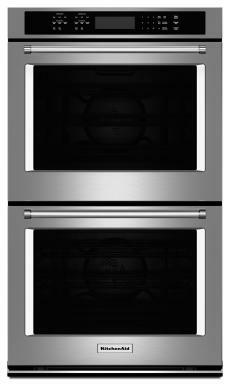 The slide-in ranges offer new design, flawless fit and Even-Heat™ True Convection. 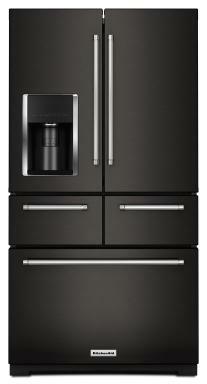 The 5-door configuration provides easy visibility, access and optimum storage spaces for all kinds of foods. Multi-Finish Knobs provide non-slip surface and bladed dial ensures precise settings. 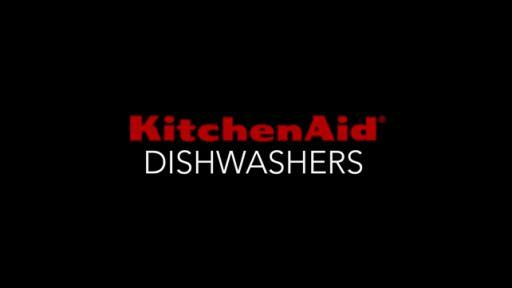 Handles are capped with the KitchenAid brand medallion, a mark of craftsmanship and precision. 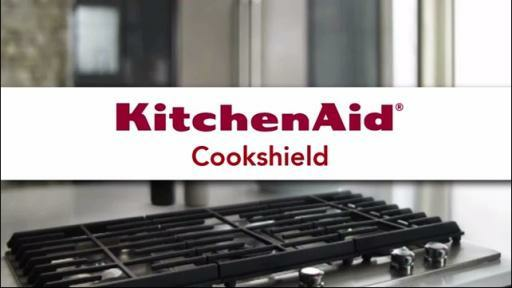 The CookShield finish protects the cooktop from stains, and is easy to clean without using harsh chemicals.  Even-Heat™ True Convection promotes consistent and even heating with bow-tie shaped design and convection fan. Select models automatically adjust fan speed to ventilation needs depending on the heat being produced. Select models feature window with LED lighting, and dynamic wash arm for better coverage and superior cleaning. 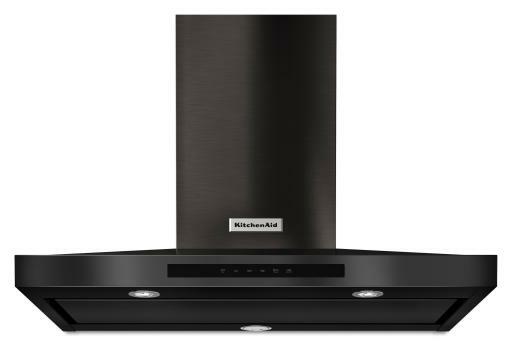 BENTON HARBOR, Mich. (June 17, 2015) – KitchenAid has introduced a completely new collection of professionally-inspired major appliances in a first-of-its-kind black stainless steel finish. The new finish combines the satiny luster of brushed steel with a warm, neutral tone that both increases its adaptability to various kitchen designs and decreases the appearance of fingerprints. Also available in stainless steel, white and black, it is the first KitchenAid collection to launch globally, with U.S. availability beginning immediately. New design elements, noticeable throughout the collection, are particularly striking against the black stainless steel finish, he adds. 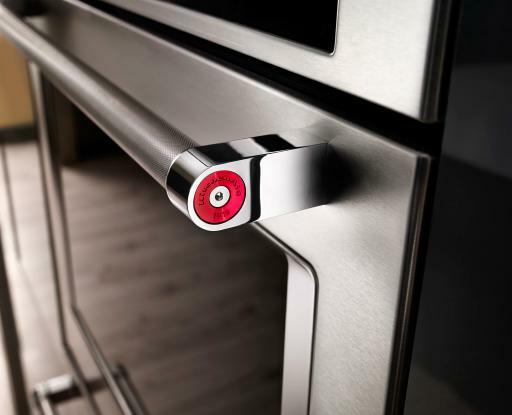 These new elements include KitchenAid brand medallions, available in red and other optional colors, that cap the sturdy bar handles found on its refrigerators, wall ovens and dishwashers. Inscribed with “KitchenAid” and “1919” -- signifying the year the iconic KitchenAid stand mixer was introduced and the brand was founded -- the medallions are meant to serve as “our finishing stamp, a mark of craftsmanship and precision,” said Schiavone. Additional details include handles etched with a professional-style, cross hatched pattern that enhances grip, and chrome inlaid frames that accent the transition between glass and other surfaces. “Aside from contributing to the collection’s bold, distinctive appearance, these new design elements hint from the outside the high performance found inside,” said Schiavone. 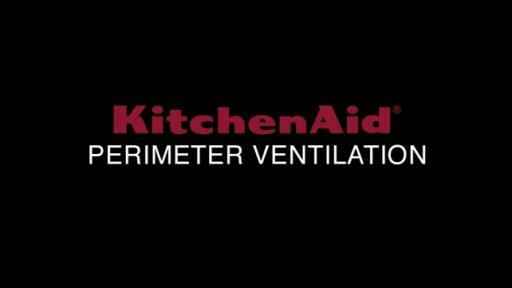 Throughout the collection, KitchenAid has incorporated a number of new or improved performance features. Four of its new dishwasher models, for example, feature a unique nine-in-one, dynamic wash arm that sprays water everywhere in the dishwasher, including hard to reach places, for better coverage and superior cleaning. Ventilation options include a new perimeter ventilation system that pulls air from each edge of the hood while increasing airflow in the center. 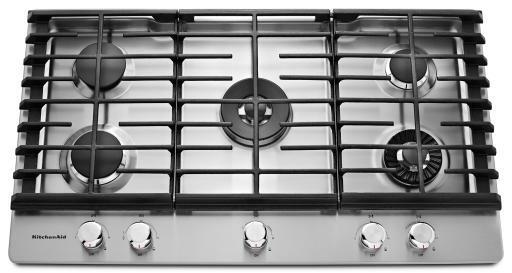 A new 30-inch gas cooktop features an exclusive Even-Heat™ Torch Burner with a flame that evenly covers the bottom of cookware to ensure even heating. Other performance hallmarks include Even-HeatTM True Convection, with an exclusive bowtie design and convection fan that ensures the inside of the entire oven is heated to, and stays at, the perfect temperature. The Preserva® Food Care System featured in the brand’s refrigerators helps extend freshness, minimize odors and delay over-ripening. Since the introduction of its legendary stand mixer in 1919 and first dishwasher in 1949, KitchenAid has built on the legacy of these icons to create a complete line of products designed for cooks. Today, the KitchenAid brand offers virtually every essential for the well-equipped kitchen with a collection that includes everything from countertop appliances to cookware, ranges to refrigerators, and whisks to wine cellars. Cook for the Cure®, the brand's partnership with Susan G. Komen®, is now in its fourteenth year and has raised over $10 million to help find a cure for breast cancer. 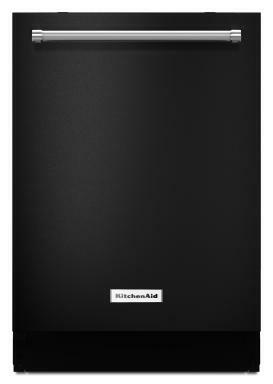 To learn why chefs choose KitchenAid for their homes more than any other brand*, visit www.KitchenAid.com or join us at http://facebook.com/KitchenAid and http://twitter.com/KitchenAidUSA. 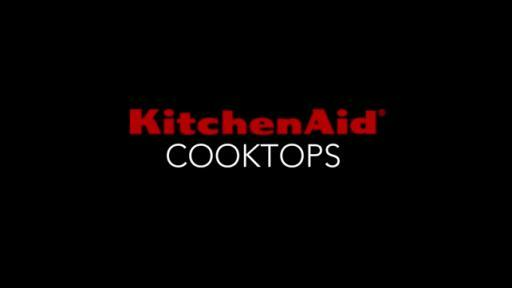 * Based on a 2014 survey, KitchenAid was found to be the home kitchen appliance brand chosen most often by members of the International Association of Culinary Professionals. 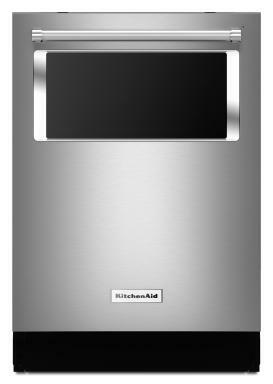 TO PRESS: To download high resolution product images and view the latest press releases, please visit the KitchenAid online press room at newsroom at http://news.kitchenaid.com/.